The CountDown Touch timing system was especially developed for the time coordination of moderators, speakers and other participants in large conferences or, for example, city hall meeting rooms. 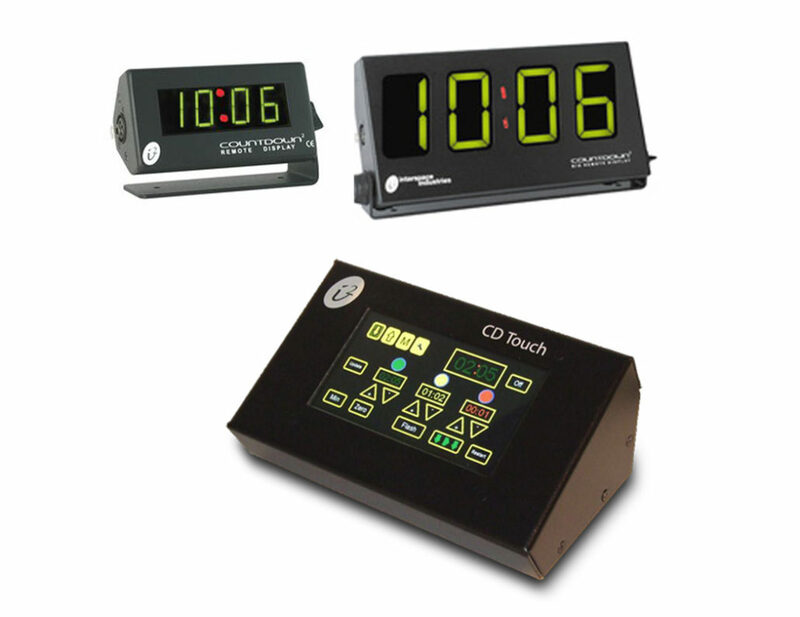 The basis of the system is the central unit with its touch-capable 75 mm display, on which the participants can read out expiring time limits as well as further time information around the presentation or show. The system is compatible with the numerical Interspace displays in various sizes as well as with the safety lamp for visual control on the stage. 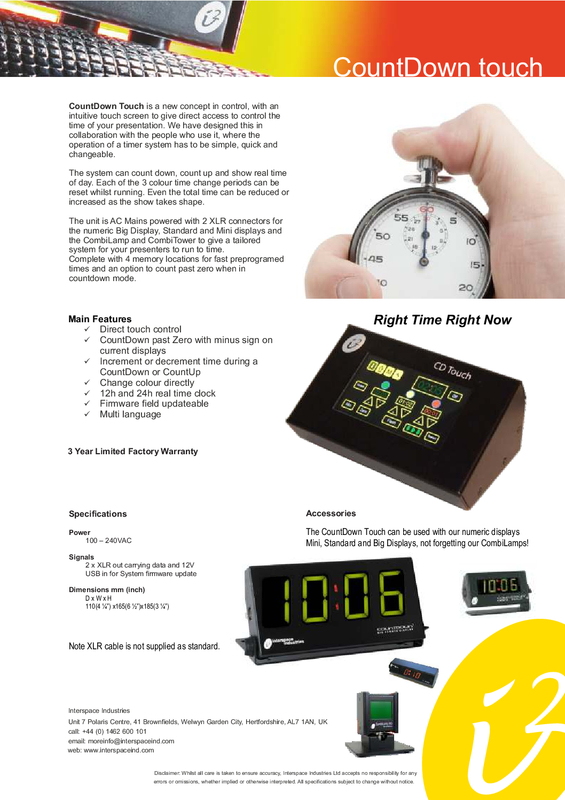 With “Soft Countdown”, Interspace offers not only the CountDown Touch but also a pure software solution for use on computer monitors.